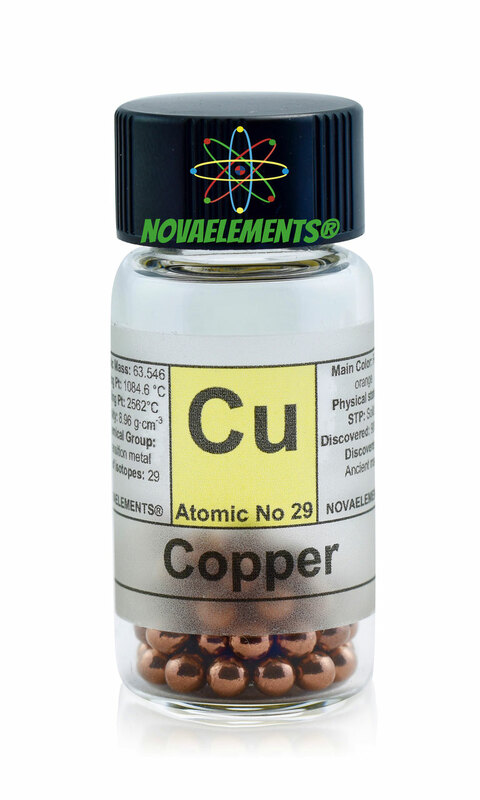 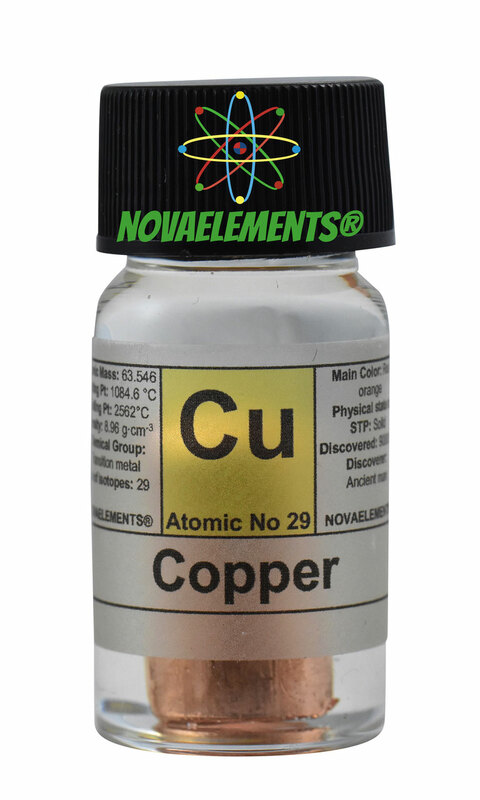 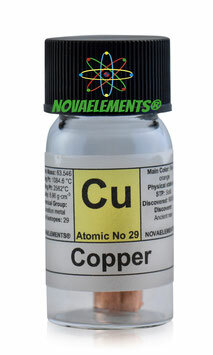 Copper is a transition metal with chemical symbol Cu and atomic number 29. 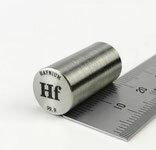 It is solid and shiny-red at normal pressure and temperature, it is more malleable and can take various shapes. 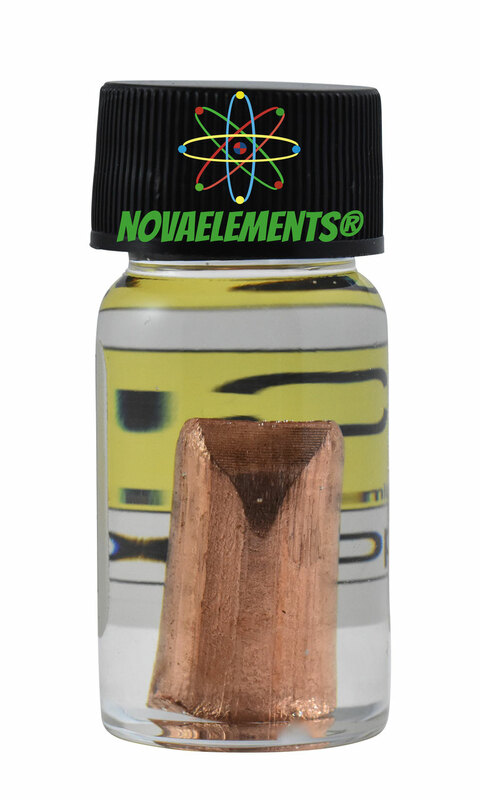 We supply this element at the purity of 99,99%, we are able also to supply various sizes and shapes, if you don't see these please ask us, we can surely satisfy you! high purity copper metal foil 99,9% dimensions: 2x1cm, sample of pure copper metal in labeled glass vial. 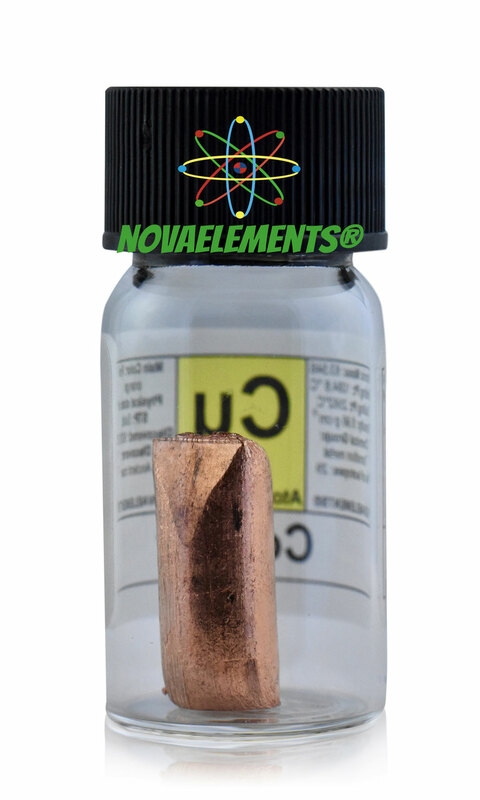 Pure element 29 sample. 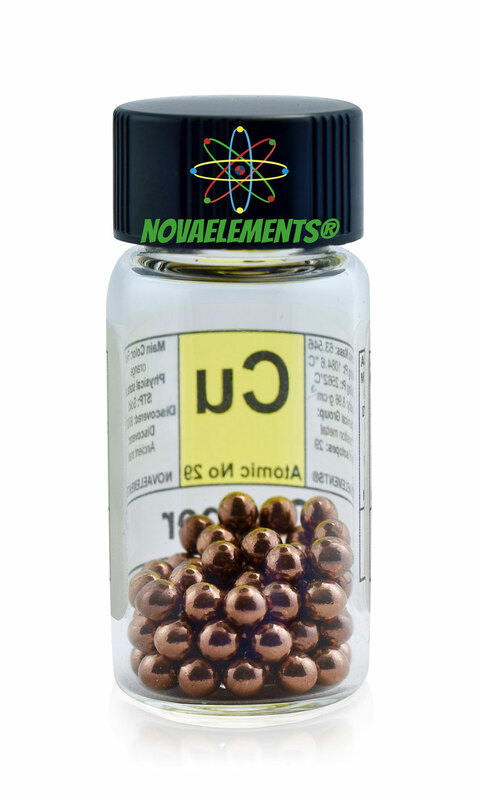 High purity copper metal spheres, 99,99% 5 grams sample in glass vial with label. 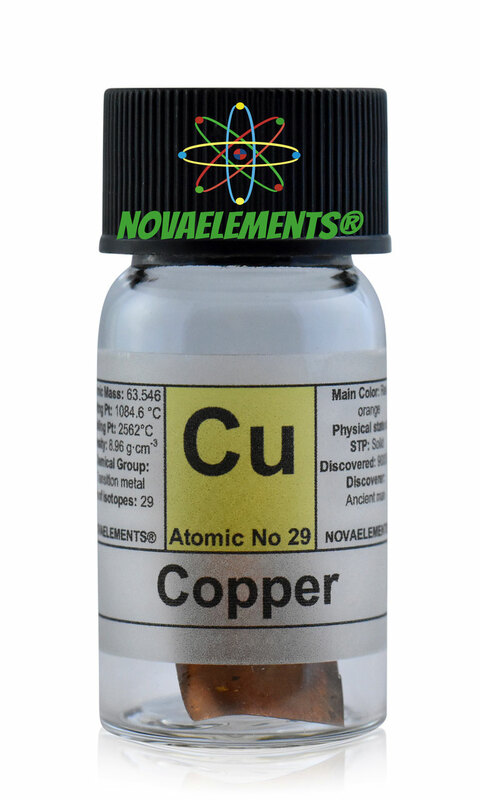 Pure element 29 sample. high purity copper metal rod 99,99% >8 grams sample in glass vial with label. 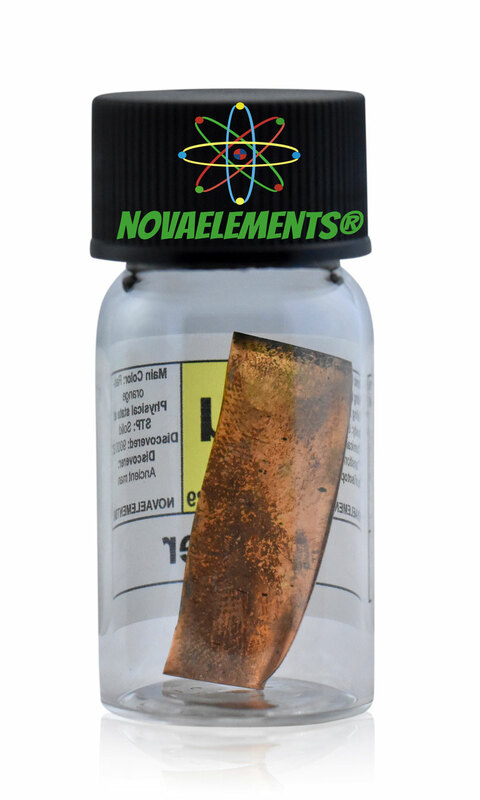 Pure element 29 sample. 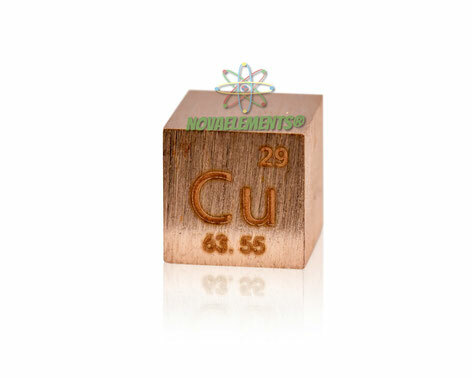 High purity copper metal rod 99.95%, pure element 29 sample Cu.